The Great Math Tattle Battle! Written in collaboration with Quest Theatre, the students have developed the script below. 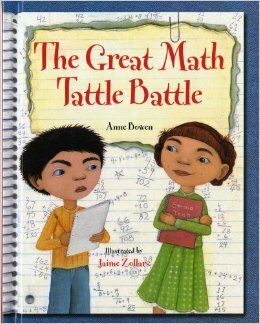 Adapted from The Great Math Tattle Battle, written by Anne Bowen. Please read and enjoy! The performance will take place Friday, May 22, 2015. The script will stay on this site long after, purely for enjoyment! If you would like to print the script out, you can access it here as well.